Sometimes there is just not enough time in the day. This weekend is Easter and we are headed up to my parents. We are slammed with work up until the second we leave and I know that I'm just not going to have time to make a complicated Easter dish. So I'm going easy. 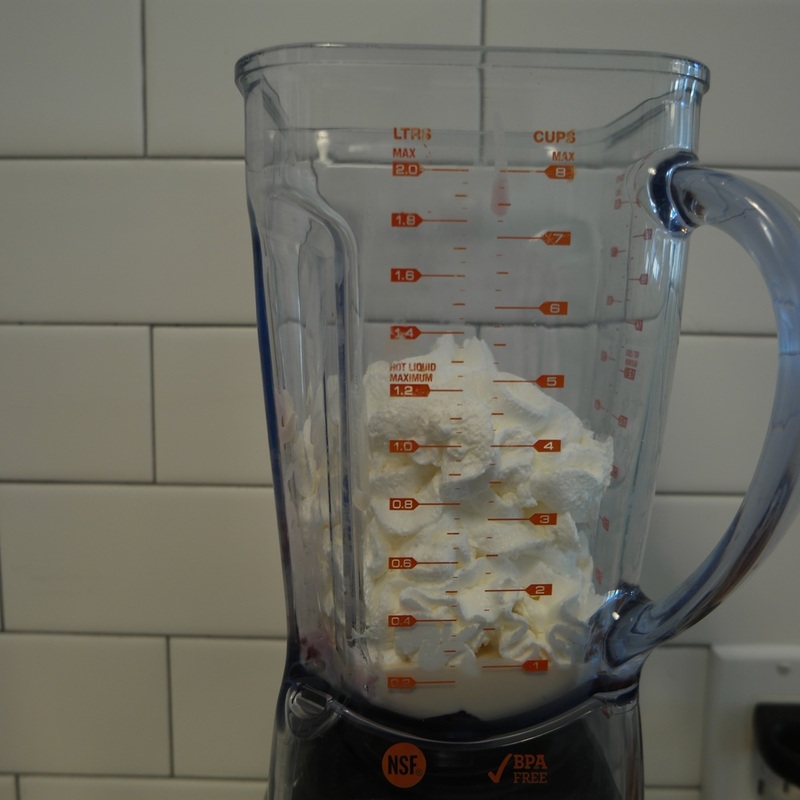 I'm making the easiest dessert ever. 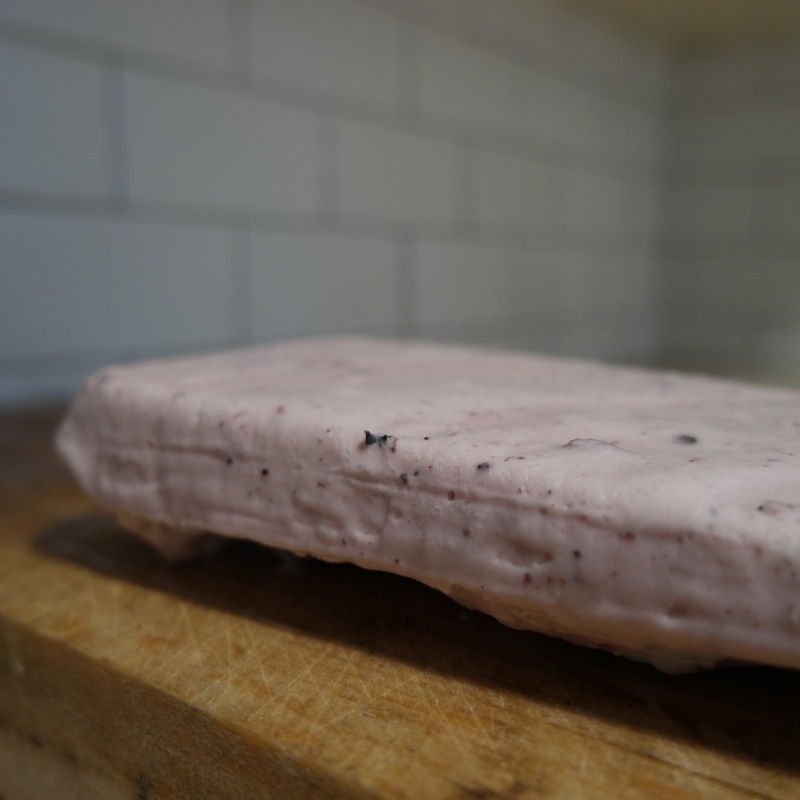 It's a riff on the semifreddo, a luxurious dessert made with heavy cream. 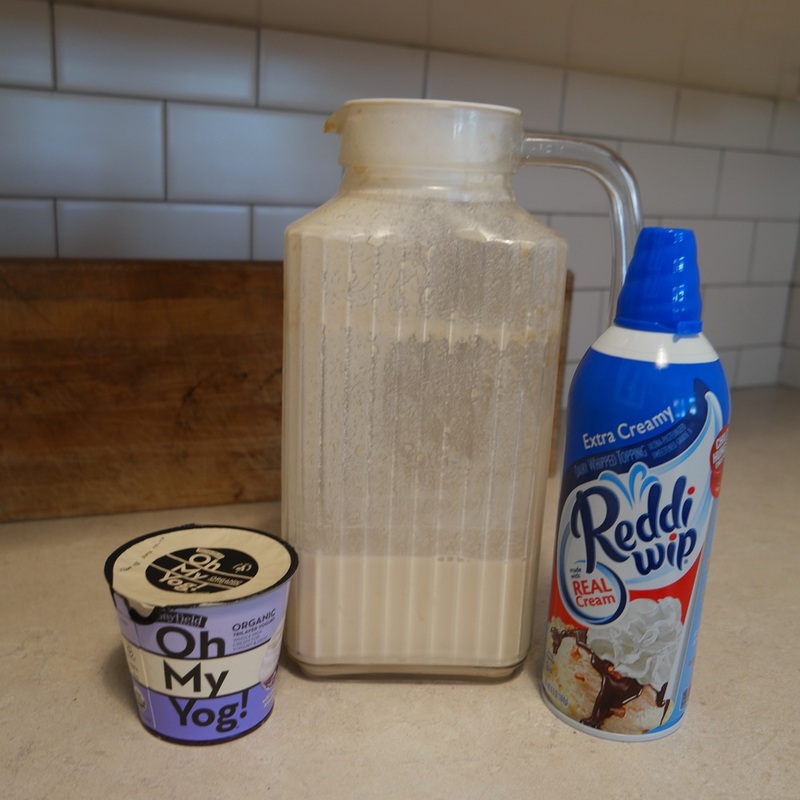 I'm losing all of the fancy and I'm going easy with some rediwhip, yogurt, and almond milk. That's it. Three ingredients. Done. 2. 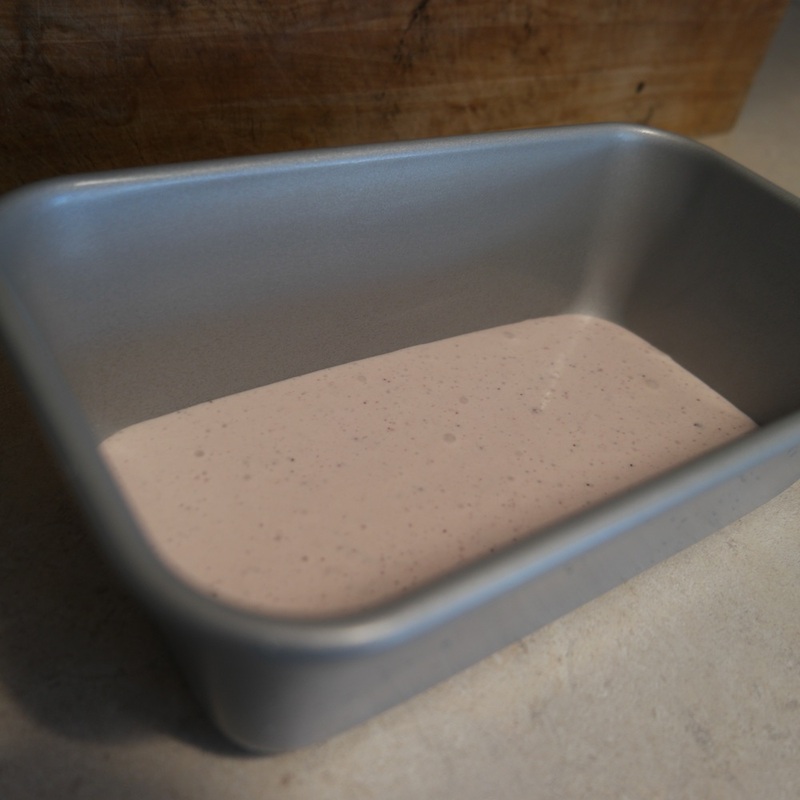 Pour in a loaf pan.